Best Wishes for the New Year of the Pig! 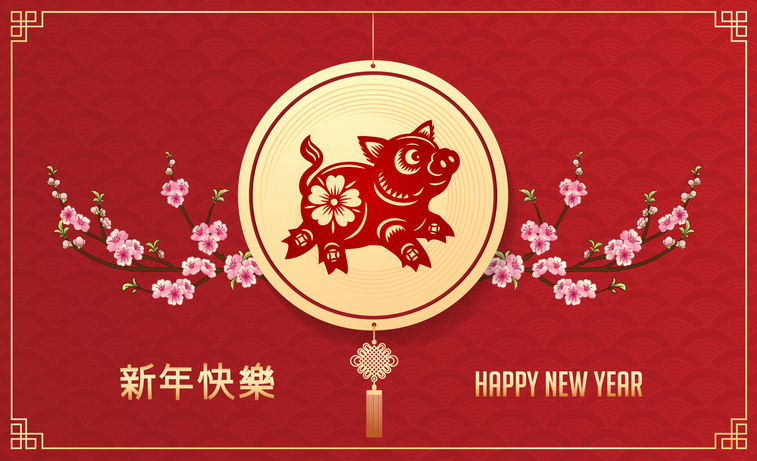 WIN wishes all its APAC Members a great beginning for the new lunar year and lots of luck for this Year of the Pig! May this bring success and prosperity to all of you! Curiosity: the Pig is the twelfth of all zodiac animals. According to one myth, the Jade Emperor said the order would be decided by the order in which they arrived to his party. Pig was late because he overslept. Another story says that a wolf destroyed his house. He had to rebuild his home before he could set off. When he arrived, he was the last one and could only take twelfth place.